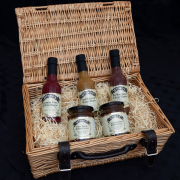 A lovely gift consisting of a luxury hamper with straw bedding, 3 bottles of Jethro’s marinades, sauces or dressings and 2 Chutney’s. A perfect gift for passionate food lovers. Enabling them to create and explore exciting meals or simply to bring immediate flavour to make dining extra delicious. 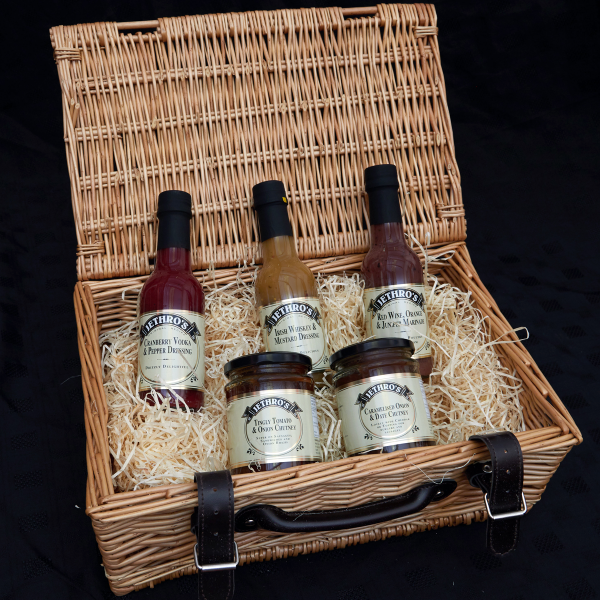 Select from our range of Chutneys and our award winning hand-made bottles of marinades, sauces or dressings. All of our products are made with the finest of ingredients for the freshest of tastes. All products are vegetarian and vegan friendly.